BOCA RATON, Fla. — Every year when the calendar flips to March, the groaning and grumbling grows a little louder as the playoff picture comes into focus. Fans, coaches and even a few general managers alike have griped: Can we do something about this %&#$ing playoff format? Three of the NHL’s top five teams are guaranteed to be eliminated from the Stanley Cup playoffs in the second round or earlier, based on the standings entering Monday night’s action. Only two of Tampa Bay, Calgary, Boston, San Jose and Toronto could make it to the Conference Final with the current bracket format. But the playoff format won’t be a topic of conversation at this week’s annual GM meetings in sunny South Florida. “It’s not on the agenda,” NHL senior executive vice-president Colin Campbell said Monday. Campbell joked that the topic was above his pay grade. But Campbell’s superiors, commissioner Gary Bettman and deputy commissioner Bill Daly, have been unwavering in their support for the current format. There is little appetite for change, both from the executive side and the majority of general managers, the stewards of the game. Proponents argue that while the current format may send some of the best teams home earlier than they’d like, those intense clashes in the first and second round are the best they can be because the players aren’t yet totally worn down by the sheer grind that is the Stanley Cup playoffs. 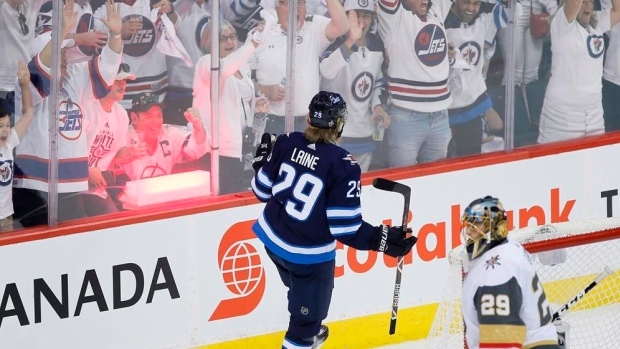 So if you’re a fan of the Nashville Predators or Winnipeg Jets, one of the teams that will likely be booted in the second round or earlier, it’s a bummer - but you’re seeing the freshest and best hockey possible. Unlike the NBA playoffs, which are a slow burn to get to the best matchups, the NHL is hot right out of the gate in early April. The consequence is that the Conference Final round has sometimes lost a little bit of flavour. Critics argue that the current format simply dilutes the meaning of a long, 82-game regular season and that being one of the best teams over the 186-day grind provides little reward. The truth is that any system, even the old one-versus-eight setup that existed before 2013, has its own quirks and pitfalls – namely rewarding weak division winners. So anyone hoping for change shouldn’t hold their breath. A new playoff format is not anywhere on the horizon.